Why Do Credit Reports Matter? How to write a dispute letter to Experian? How to file a credit dispute with Experian? How to dispute items on Experian credit report? How to dispute a collection with Experian? How to dispute inquiries with Experian? How to dispute Experian credit report online? How to dispute credit report online with Experian? How to dispute something on your Experian credit report? How to dispute Experian online? How to check a dispute with Experian? How to dispute information on Experian credit report? How to dispute a credit report error with Experian? Can Experian dismiss if dispute is with Transunion? How to dispute Experian business credit report? Why Experian online dispute is not working? How to remove a dispute from Experian credit report? How to dispute closed transferred accounts from Experian? Why can't I file an Experian dispute online? How to dispute a charge off with Experian? How to dispute card over limit with Experian? How to check Experian dispute status? How long will it take for Experian to update dispute? Does Experian charge to dispute online? Why Experian wouldn't let me dispute one of my collections? What happens when I dispute report on Experian? How to dispute credit card against Experian? How to dispute a debt with Experian? How to dispute derogatory items on Experian online? When will disputed item come off Experian? Why can't I dispute certain items with Experian? How long after disputing with Experian does credit change? What does update mean on Experian dispute? How to cancel a dispute with Experian? How to contact Experian about dispute? What is the phone number for Experian disputes? How to call Experian to dispute? How to dispute Experian credit report by phone? How to dispute Experian by mail? Where to send Experian dispute letter? What is Experian dispute phone number? Can I fax my credit report dispute to Experian? Accidents happen. However, when they happen to your credit report, the results are serious. That’s why federal law provides ways for consumers to challenge the information on their credit reports. This article deals with disputing your Experian credit report. We’ll talk about who the company is and why Experian credit reports matter. We’ll also go over how false information can wind up on your credit report. Finally, we’ll tell you how to dispute your Experian credit report and how to see the process through. Experian is a type of company known as a consumer credit reporting agency. They collect information on people and businesses. They then use that information to assign people and businesses a credit score. The company has information on over one billion people and businesses. That includes 235 million US consumers and 25 million US businesses. The information the company collects goes on to form credit reports. These credit reports include a history of different credit and loan accounts someone has had. It also includes a record of payments on those accounts. 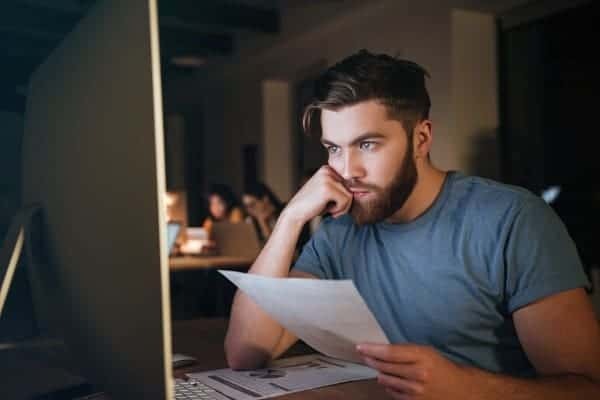 Finally, a credit report has information about things like late or missed payments, past bankruptcies, judgements, liens, and more. Experian is one of the “Big Three” Credit reporting agencies. The other two are Equifax and Transunion. These three companies provide most of the credit and consumer data businesses use to determine loan and credit approval. They also use the information to determine what kind of terms they’ll offer on loans. Credit reports sound boring. And in fact, they are. However, that doesn’t mean they aren’t important. Your credit report is a history of all the major financial actions you’ve taken. Companies like Experian use this information to generate a credit score. A credit score is a number that ranges from 300 to 850. The higher your score, the better. This score plays a role in lots of things. The first, and most obvious thing, is in credit and lending decisions. Banks and lenders use your score to approve or deny your requests. Also, your score shapes the terms you’re offered. If you have a higher score, companies are confident you’ll pay the loan back. That means they’ll offer you a lower interest rate. That can save you thousands of dollars over the course of the loan. That’s not all. More people and groups are using credit reports to make decisions. Many jobs now use Experian credit reports when they’re looking to fill a position. They use the credit report to see how well you handle money. Also, landlords use credit reports. The information tells them if you can be trusted to pay rent. It also tells them if you’ve had any kind of legal problems with bills in the past. As a result, getting the best credit score you can is important. It helps to shape your entire financial life. It can determine where you live, what kind of job you can get, and how much you’ll pay for credit and loans. Sometimes false information gets on credit reports. In the modern day, one of the most common sources of false information is identity theft. Someone steals your personal information and uses it to open an account. They don’t pay the bills for the account. The account holder blames you. That can make it look like you’re bad with money. It lowers your credit score. This makes it harder to get loans and credit. Also, the loans and credit you get have a higher interest rate. That means you’ll pay more for them. You can also get false information on your credit report from human error. Credit reporting is a complex process. Your creditor or lender needs to track your account. Then they take that information and report it to Experian. Experian takes the information and enters it into your record with them. That’s a lot of steps. And something can go wrong in any of those steps. There are three main ways to dispute your Experian credit report. The first way is to go online. The company has a website where you can tell them what information is wrong. You can upload documents to prove your dispute. You can also dispute your report by calling on the phone. Their customer service representatives will tell you what information they need to process your dispute. You should make sure to have all your important information on hand if you do this. Finally, you can dispute Experian credit report through the mail. This option has its own set of advantages and disadvantages. We’ll cover the benefits and drawbacks of each method when we give you the contact information for Experian. We’ve put together a list of all the contact information you’ll need to dispute your Experian credit report. This information should be used to challenge false and inaccurate items on your credit report. It’s important to note that you can also dispute items on your credit report by contacting your lender or creditor directly. Some credit reporting cases are complex. For example, identity theft cases can be extremely difficult. That means you may have to contact both Experian as well as the business that submitted the information you’re challenging. Experian has a place for you to dispute information online. You can find it here. There are some pros and cons to using the online dispute process. The main benefit of disputing your credit report online is speed. The company will be able to process your request quickly. Online submissions allow them to automate parts of the process. That means you get faster results. Online disputes are also more convenient. You don’t need to wait for the mail or sit around on the phone. Moreover, you can file a dispute any time of the day, any day of the week. You can even file a dispute from your smartphone or tablet. That kind of flexibility is appealing to many consumers. However, the online dispute submission isn’t the best option in all cases. You’ll want to make sure you can document everything you did in the process. That means taking and storing lots of screenshots. It also means that you’re more limited in your options. You need to use the forms they provide you. That might not be enough to explain your problem. The phone number to get in touch with Experian is 1-866-200-6020. This will let you get a copy of your personal credit report. It will give you access to the dispute system. You can tell an operator about your problem. The customer service agent will tell you what information they need to process your dispute. If you want to make the process faster, be sure to have the information you need on hand. That includes things like your contact information and other personally identifying information. You should also have the information about the record you’re disputing. That might include the account number, billing address, authorized users, and more. In general, it’s always a better idea to have the information ready and not need it than to need the information and not have it. The biggest issue with disputing Experian credit report through the phone is that it’s hard to document the process. Some states don’t allow you to record phone conversations without the permission of both parties. Also, you might have to scan and send or mail important documents anyway. That’s why we recommend using the phone dispute option for small things like a false address, or to get more information on what you need to file a proper dispute through the mail or online. Mail is the best way to file a dispute for many cases. That’s because you can use certified mail. You should always request a return receipt. This will tell you exactly when the company received your dispute. That’s important information to have. Federal law says that the company must respond to any dispute within 30 days. They need to either verify the information, correct it, or delete it. Certified mail lets you accurately track this timeline. That means you’ll know the latest date you’ll hear a response. You’re not disputing your Experian credit report for fun. You’re doing it to remove false and negative information from your credit report. Therefore, we’ve put together some things you can do to help make your dispute as smooth as possible. Remember, Experian is interested in accuracy. They’re also interested in following the law. The dispute process doesn’t need to be combative. It just has to work. You should save everything related to your dispute. This will come in handy for several reasons. First, it gives you the documentation you need if there’s a problem later. That can prevent inaccurate information from re-appearing on your report. It can also help you dispute your credit report with other companies. You should save a copy of everything you send Experian. You should also save any information you get from them. This will help you ensure that Experian complies with federal law. It also prevents mistakes and problems from occurring. Experian doesn’t evaluate your opinions when they’re looking at a dispute request. That means you should keep your letter brief. Don’t embellish or add unnecessary details. For example, if a company said you were more than 30 days late paying a bill, but you were only a week late, then you wouldn’t want to explain to Experian why you were a week late. Instead, you’d just want to state that the bill was paid within 30 days of the due date. Disputes are most successful when you provide evidence to back them up. That can mean things like court documents or police reports to verify identity theft. The evidence you need depends on what you’re disputing. Make sure to include all of the necessary documents when you file your dispute with Experian. This will help make the process go faster. It will also prevent mistakes that leave negative information on your report. Once you’ve submitted your dispute, the job isn’t over. You’ll need to follow up to ensure that Experian took the action you wanted. Remember, just because you file a dispute doesn’t mean the company will generate the outcome you want. Sometimes the company will need more information. Other times, the decision might be delayed while they continue to investigate. Checking the status of the dispute will keep it on your mind. It will also let you act on any information you get back from them as soon as possible. If your dispute is approved, then make sure that the information is actually removed from your report. If your dispute is denied you have a few options. One of the most useful is a verification of method request. Federal law also gives you the right to know how a company verified information on your credit report. You can use this information to renew your dispute. It also might become important later if lawyers get involved. Each dispute case is different. You can contact Experian or a credit repair service for more information on disputing your credit report. You can also find lots of information online. Your credit is important. It helps determine what doors are and aren’t open to you. Make sure you give yourself as many options as possible. Ensure that your credit score is accurate and get the interest rates and opportunities you deserve. Use the information in this guide to challenge false and negative information on your Experian report and live the life you’ve deserved. Do you need to dispute any false information on your credit report issued by Experian? This section will guide you through some of the most common questions asked by consumers during this process. If you find an error on your credit report from Experian, you must go to their website: Experian.com/dispute. Submit your dispute about inaccurate information on your report. Choose the “Start a new dispute” box and follow the steps there. It will take about 30 to 45 days for the dispute claim to be processed. You can also file a dispute on your Experian credit report by mail. In the letter, make sure to include the erroneous detail included in your report and provide the appropriate corrections (if available). If you want inaccurate information removed, you can also do so. Make sure to have a return receipt requested along with your mail to confirm that the correspondence was successfully received by the credit bureau. There are three options to file a credit dispute with Experian. The first option is to go to their website and submit a dispute via their online dispute system. You can also write them a letter detailing the specific information you believe is inaccurate and want to be removed from your credit report. And the third option is to call their hotline wherein an operator will walk you through the process of filing a dispute on your report. The first step is to check your Experian account to see if there are any existing disputes on your report. If you have confirmed that there are no existing disputes for inaccuracies that you’ve spotted, you can start a dispute claim online. You will be asked to provide personal information and follow the prompt on how to file a dispute. You can also file a dispute claim via mail or phone. You can dispute a collection on your Experian credit report if you believe it is inaccurate. You can write them or file a dispute claim online. The process is the same with any other types of dispute; however, you will have to specify that the collection is the item you want removed. If there are hard inquiries on your Experian report that were not authorized, you can have them removed. To dispute this, you can send a copy of that report to Experian via mail or online. They will investigate the dispute, and if your claim is accurate, then the inquiry will be removed from your report. Filing a dispute online with Experian is easy. Go to their website: Experian.com/dispute. You must select the “Start a new dispute online” option and follow the process by providing the information you want removed or corrected. The entire dispute process will take a month or more. You will be notified via email once the dispute has been successful. Experian provides plenty of ways to contact them about inaccuracies on your credit report that you want removed or corrected. However, disputing online is the easiest way. You can file a dispute under their online dispute system. It is recommended that you provide documents to support your claim. When submitting documents to support your dispute claim, make sure to submit only copies and not the original documents. There are several ways in which you can dispute erroneous information on your Experian credit report. You can go to their website and file the dispute there. You can also call them or write them a letter. Filing a dispute claim on your Experian credit report online is the easiest method to do so. Go to Experian.com/dispute. You will be directed to an online dispute system wherein you must provide information on your dispute. Allow about 30 days for the dispute claim to be processed. After that time period, you should expect to hear a feedback about your dispute claim. You can check the status of your dispute claim with Experian. Go to their website and log into your account to see the status of your credit report dispute. When you get a copy of your credit report from Experian, take time to review it carefully to ensure there is no inaccurate information. If you can spot one (or more), you can dispute that information with Experian by going to their website and opening a new dispute claim. You can also write them a letter about the dispute. To dispute the information successfully, you must provide documents to support your claim. When you spot an error on your credit report, you must file a dispute to Experian about it. You can write them a letter to provide details about the error. If you can, you should provide documents to support your dispute claim. The credit reporting companies are given about 30 days to investigate the items being disputed. No. You must file a dispute on the credit reporting agency that issued the report. If you have inaccurate information on your business credit report, Experian encourages you to get a copy of the report and review it thoroughly. Identify the erroneous item on your report and provide details on why it should be corrected or removed. Make sure to supply the correct information to Experian. When available, you should also include supporting documents. An online dispute with Experian will not work if your dispute lacks the supporting documents for it to be corrected or removed. It is important to provide as much information and documents to go with your claim. The only way you can legally dispute information on your Experian credit report is if you have valid supporting documents to prove it. You cannot remove any factual information from your report. When you have managed to pay off an account, it will be shown on your account that it has been closed. However, it will not be removed on your credit report. Whether the account is positive or negative, it will determine how long it will stay on your credit report. When you have closed an account and it is still shown on your report, you can inform Experian about it so that it can be removed from your credit report. You must verify your identity before you can access your credit report online. If you are unable to satisfy this verification process, you won’t be able to file a dispute online. You can do so via mail or phone instead. Charge off happens when your creditor decides to write off your unpaid debt in order to obtain a tax deduction. This negative item will stay on your report for up to 7 years. You won’t be able to dispute it or remove it from your credit report until such time period has passed. This is true not just for Experian but also in the other credit reporting bureaus. The credit card issuer is the one that will report the over limit status on your card to the credit reporting agencies. You can file a dispute claim with Experian if you think that the over limit status is inaccurate, or if you have fully paid your statement. When you file your dispute with Experian online, you can simply log into your account to check the status of the dispute claim. You can also use this method to check if you have any existing disputes (before you file a new one). According to the Fair Credit Reporting Act (FCRA), Experian (or any other credit reporting agencies) must investigate and come up with a resolution on a dispute within 30 days. No. Disputing a credit report error should come at no cost. However, you are only entitled to one free copy of your credit report per 12 months. If you have to obtain another copy of your credit report, there might be certain costs associated with it. If Experian won’t let you dispute collections from your credit report, it is important to contact your credit directly. If the account is really in the hands of a collection agency, you have no legal means to remove it from your credit report. You can only dispute errors or inaccurate information. When you file a dispute with Experian, it will get in touch directly with the creditor that is concerned with the disputed information. Both Experian and the creditor will be given 30 days to investigate the matter and respond back. The process of filing a dispute for your business credit report will be the same as with individual consumer’s credit report. You can go to Experian’s Dispute Center online or send them a letter detailing the information you want to dispute. If your credit card accounts are falsely reported on your Experian credit report, you can file a dispute claim for it. It is important to obtain all the necessary documents associated with that credit card account to support your dispute filing. This is an important step if the credit card item is causing a negative hit on your credit report. The first step is to always review your credit report. You want to make sure that the information there is accurate. If not, you can file a dispute with Experian detailing why a certain debt account should be corrected or removed (whichever applies). Experian will coordinate with the creditor about the status of your debt account and come up with a resolution within a 30-day period (at least). You need to follow the standard process for disputing any factual errors on your credit report. You can write a letter to Experian about the specific item/s you want removed or corrected. You can also submit via Experian’s Dispute Center online. For 30 to 45 days, you should expect some feedback on those items if you’ve successfully removed them from your credit report. If based on Experian’s investigation the dispute was successful, the item will be removed from your credit report immediately. Experian has built its Dispute Center online to make it easier for consumers to clean up their credit report. However, you can only dispute items that contain actual errors (based on their investigation). You cannot dispute certain items if they are considered accurate. Filing a dispute does not have an impact on your credit score. However, if you were able to remove any negative or erroneous information from your report, it will have an impact on your credit score. After 30 days since filing the dispute, you can check your Experian account to see if there are any changes to your credit score. When you’ve filed for a dispute claim and you see your report with a note “updated”, it means that your dispute was successful and your report has been updated with the correct information. It takes up to 72 hours for disputes to be canceled from your Experian report. You can call them using the hotline 1-888-397-3742. Once connected to the operator, let them know that you want to remove the “dispute” verbiage from your report. You will be notified via email within 72 hours upon requesting cancelation of dispute. Check out the list of frequently asked questions when you’re looking to get in touch with Experian. There are several ways to get in touch with Experian about a credit dispute. The first step is to call them at 1-888-397-3742. You will get the chance to speak to a real person to address your concerns. The hotline for Experian to get in touch about disputing your credit report is 1 888 EXPERIAN (888 397 3742). You can call the hotline for Experian – 1 888 EXPERIAN (888 397 3742). From there, an operator will talk to you regarding your dispute claim. Provide the necessary information so you can proceed with the next step of disputing errors on your credit report. If you want to file a dispute on your Experian credit report via phone, you must call the number indicated on your credit report. An agent will speak to you about the information you want disputed. To support your dispute claim, you may be asked to provide supporting documents. Disputing your Experian credit report by mail is the most reliable method. You can write a letter that details which information on your report you want removed or corrected. You can send your letter and other supporting documents to P.O. Box 4500, Allen, TX 75013. If you want to file a dispute by mail, you can address it to P.O. Box 4500, Allen, TX 75013. This is the National Consumer Assistance Center for Experian. The contact number if you want to file a dispute with Experian is included in your credit report. You can use the following numbers for this concern: 1 888 EXPERIAN (888 397 3742). As of now, the only options for filing your dispute claim with Experian would be online, via phone, or by mail. Fax is currently not one of the options offered.